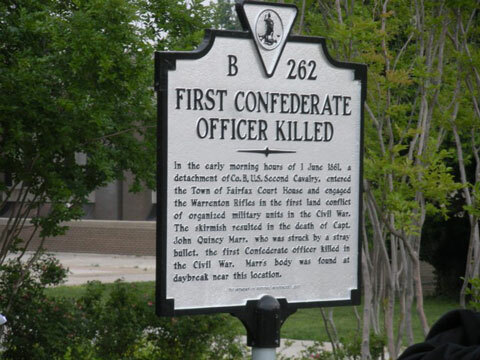 The Virginia marker tells of the June 1, 1861 skirmish and death of Captain John Q. Marr. Photo by The History Guy - William Connery. 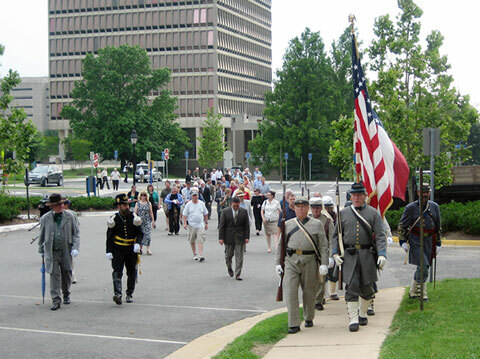 Starting the march to the old 1800 Fairfax Court House. Photo by The History Guy - William Connery. 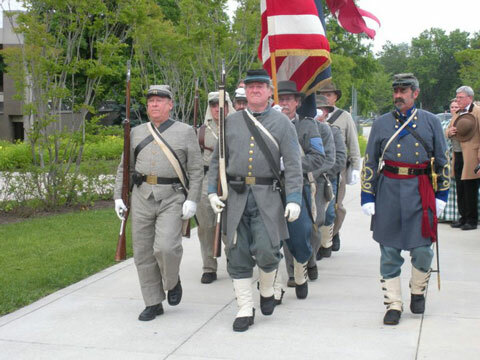 The Color Guard has a large following, going from the Marr marker to the old Court House. 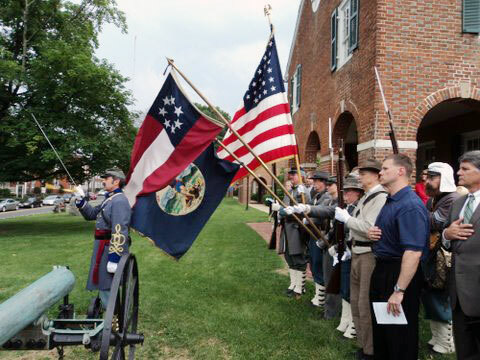 The Colors are presented in front of the 1800 Fairfax Court House. 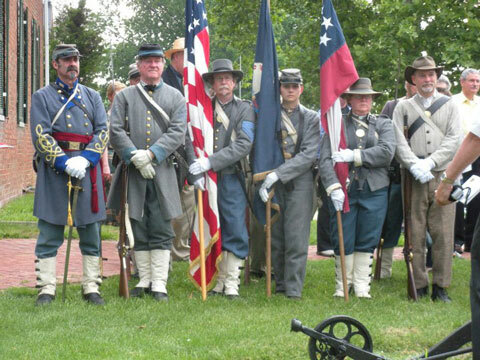 Lt. Segaar forms the Color Guard for a photo opportunity at the 1800 Fairfax Court House. Photo by The History Guy - William Connery. Col. Ewell (Chris Godart) lost his epaulet during the skirmish. The original lost epaulet is on display at the Fairfax Museum. Gov. 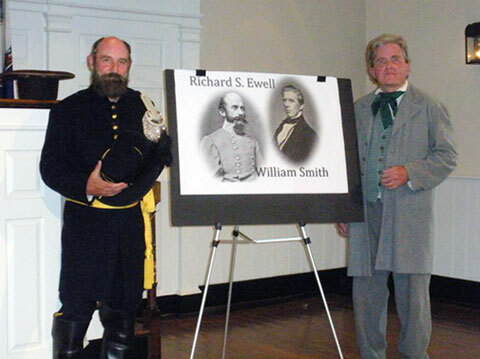 "Extra Billy" Smith (Dave Meisky) took command when Ewell was wounded. Both would become Confederate generals. Photo by The History Guy - William Connery. Site Design by Stephen Wolfsberger Last updated June 8, 2011.